We like GoDaddy.com‘s low, low pricing on domain name registration, hosting and email. We host the Shimmin Design site, as well as many of our clients’ sites at GoDaddy and we have been very happy with their service. If you host with us, we extend GoDaddy’s great pricing to you, with no mark-up. And, as motorsports fans, we love that GoDaddy sponsors some awesome teams as well. 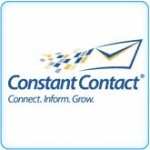 Constant Contact’s email marketing, social media marketing, event marketing, and online survey tools help small organizations grow their businesses by building stronger customer relationships. Sign up for a FREE 60-Day Trial of Email Marketing today. No risk. No obligation. No credit card. 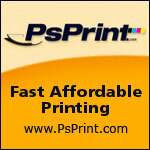 We have been using PsPrint for more than a decade and just love their great pricing and fast turn-around. We’ve always received great service and every project we’ve sent them has turned out exactly as expected. In fact, we’re so confident in their work, we rarely bother with a hard proof anymore – their online proofing is so easy and spot on! That’s why we couldn’t be happier to partner with such a great company.